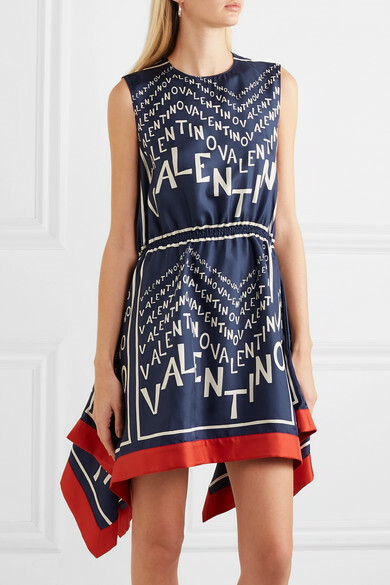 Pierpaolo Piccioli draws inspiration from 1970s Rome for Valentino's Resort '19 collection - the moniker print on this mini dress is an archival one from the era. 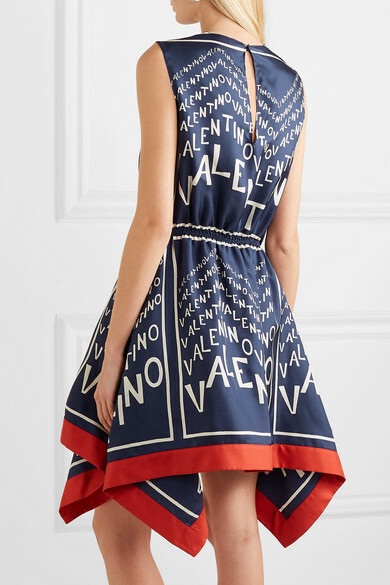 It's been made in Italy from fluid silk-twill and has an elasticated waist that cinches the loose silhouette. 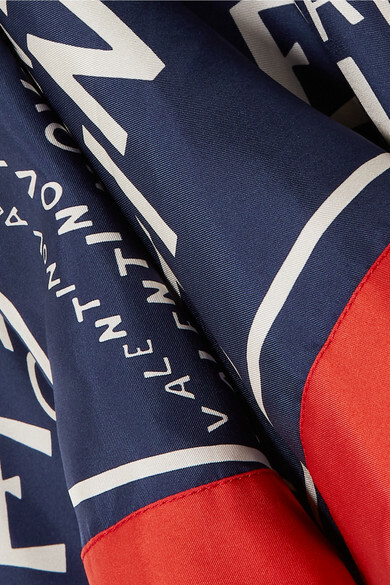 We love how beautifully the handkerchief hem moves with each step. Shown here with: Givenchy Shoulder bag, Jimmy Choo Sandals, Sophie Buhai Earrings.